Microsoft threatened to suspend web-hosting services it provides to Gab.ai after getting a complaint about anti-Semitic posts on the social-media site, a new twist in the technology industry’s controversial crackdown on hate speech. Microsoft’s Azure cloud-computing division said it would take action in two business days if Gab didn’t remove two posts that prompted the complaint about "malicious activity," according to a post on Thursday by Gab. 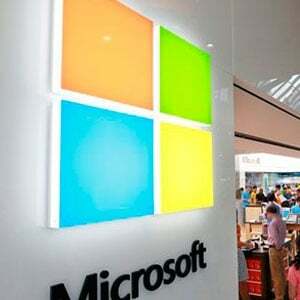 "We have concluded that this content incites violence, is not protected by the First Amendment, and violates Microsoft Azure’s acceptable use policy," the software maker said. "Our policies rightly prohibit this type of content, and we expect Gab.ai to abide by these policies if it wishes to use our service. Gab.ai is of course free to choose otherwise and work with another cloud service provider or host this content itself." If Gab chooses other providers, Microsoft said it will give the site "a reasonable amount of time, in this instance longer than 48 hours," to move content elsewhere before its access to Azure cloud services is terminated. Gab declined to comment beyond its public post. The action Thursday shows how the tech industry’s efforts to tackle hate speech online is extending beyond big social-media services like Facebook and Google’s YouTube to cloud-computing companies that provide web-hosting services to smaller sites. Some of those smaller sites can gain traffic by welcoming users who have been kicked off larger platforms. Gab was founded in the summer of 2016 by Andrew Torba, a conservative entrepreneur who had previously run a social-media marketing company. The site pitches itself as an alternative to Twitter, which has been trying to control extreme and offensive discourse on its service. A handful of high-profile right-wing Twitter users have established a presence on Gab. Some of the content posted on the service led Apple and Google to refuse to distribute its smartphone app through their app stores. Torba has welcomed the mantle of oppressed outsider, saying that Gab’s main political conviction is the defense of free speech. Facebook and YouTube on Monday suspended conspiracy theorist Alex Jones from their platforms after concluding some of his posts violated their policies. That followed similar action by Apple and Spotify Technology SA. The moves have ignited a debate about balancing free speech rights online with policies that discourage hateful and threatening content.